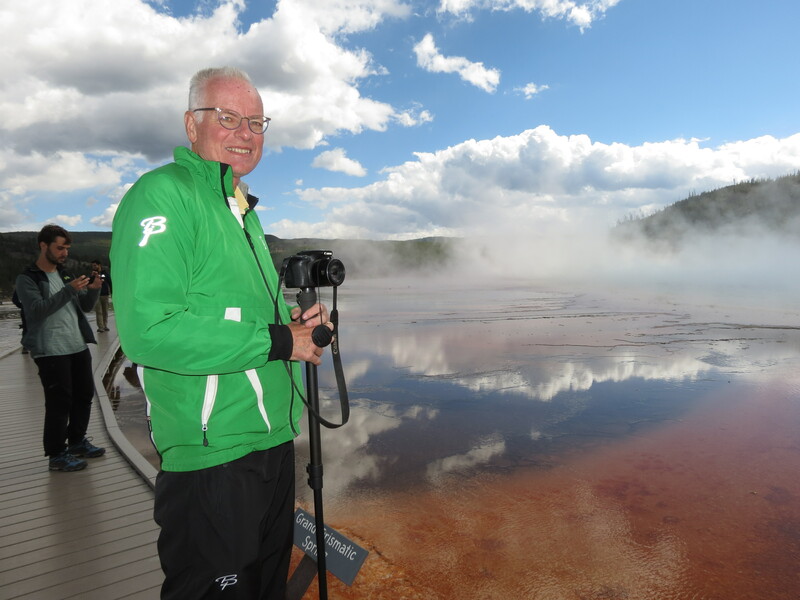 Before this trip, Yellowstone National Park conjured up images of Old Faithful in my brain. Snow in June and a rustic cabin. That’s what I remember from visiting with my family in sixth grade. Now I realize the injustice of that narrow memory. 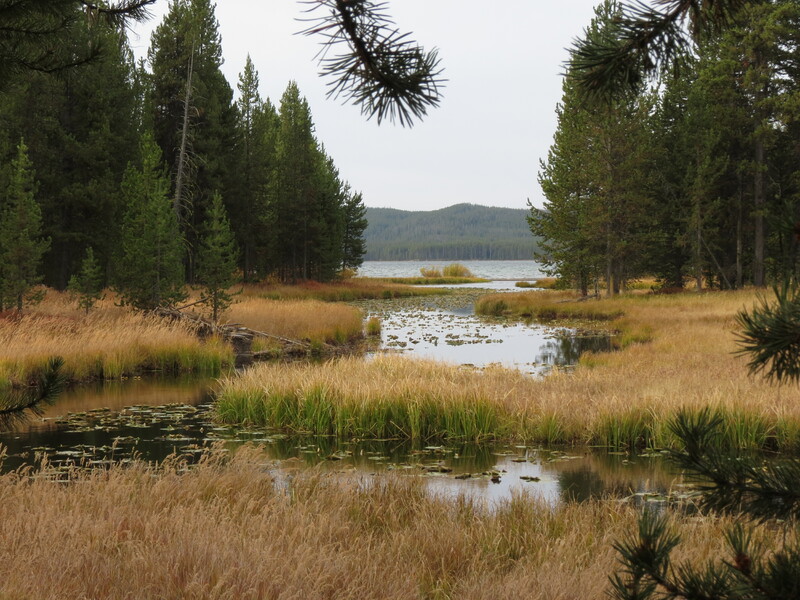 Yellowstone is home to a wealth of unique natural wonders. Despite its vast size, the distinct variety of sights found within its borders is astonishing. Each of our five days brought something new. 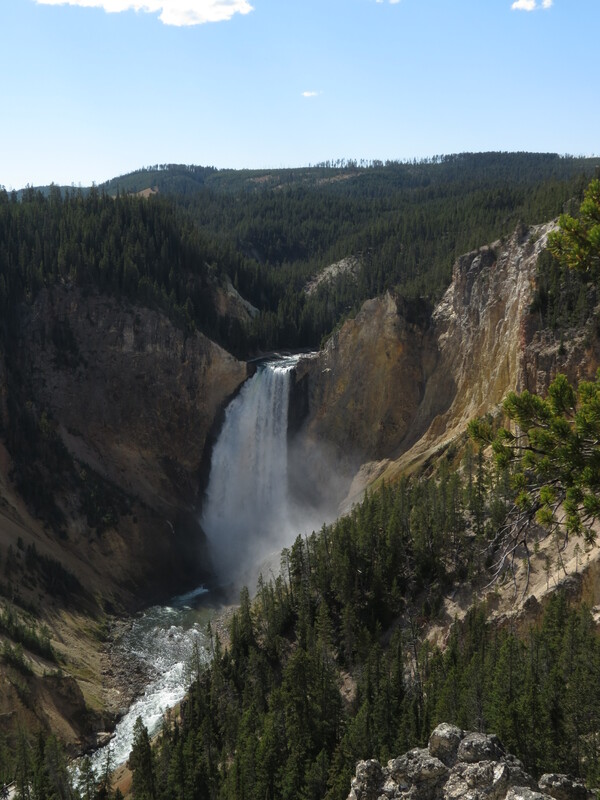 Thankfully, our son Erik and his wife Katie visited Yellowstone just a month ahead of us, leaving us with tips on the best way to see the park. And their bear spray. 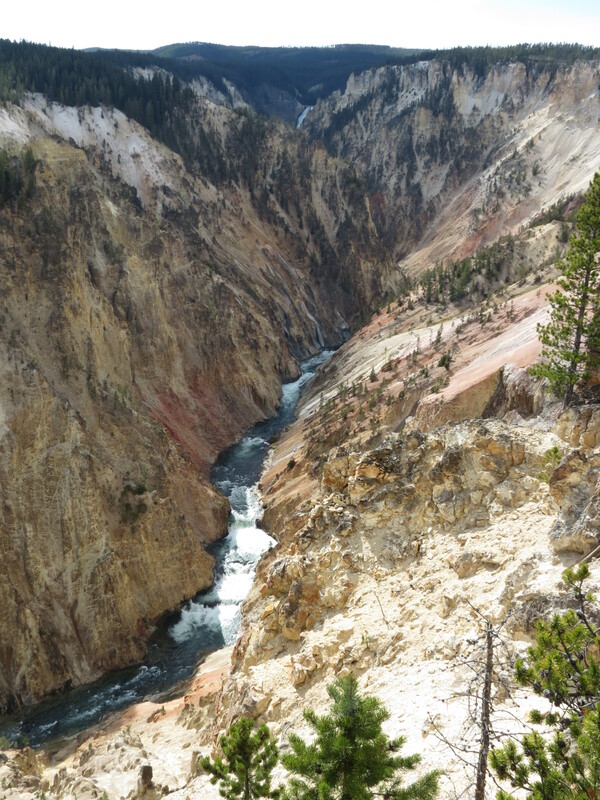 We explored the “Grand Canyon of the Yellowstone” – walking the north rim, hiking down to the brink of the Lower Falls and absorbing the rich colors of the deep canyon walls. 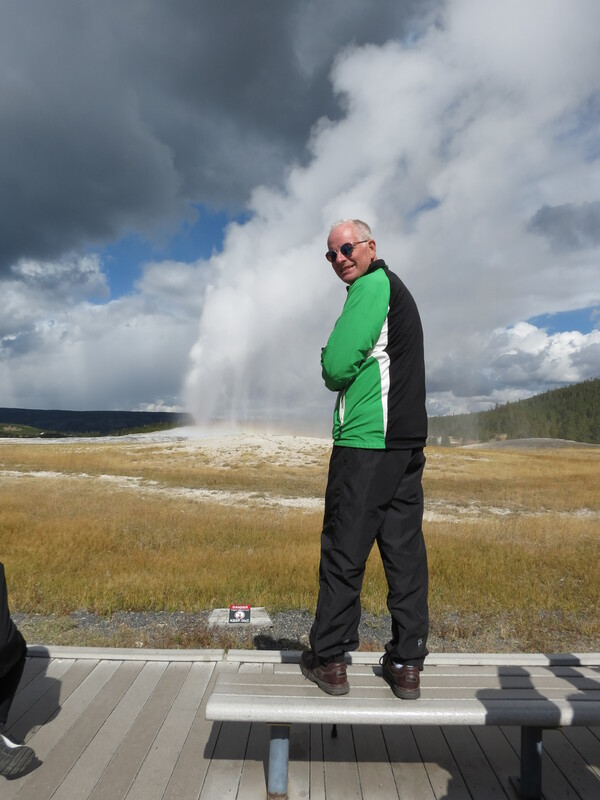 Naturally, we paid a visit to Old Faithful. 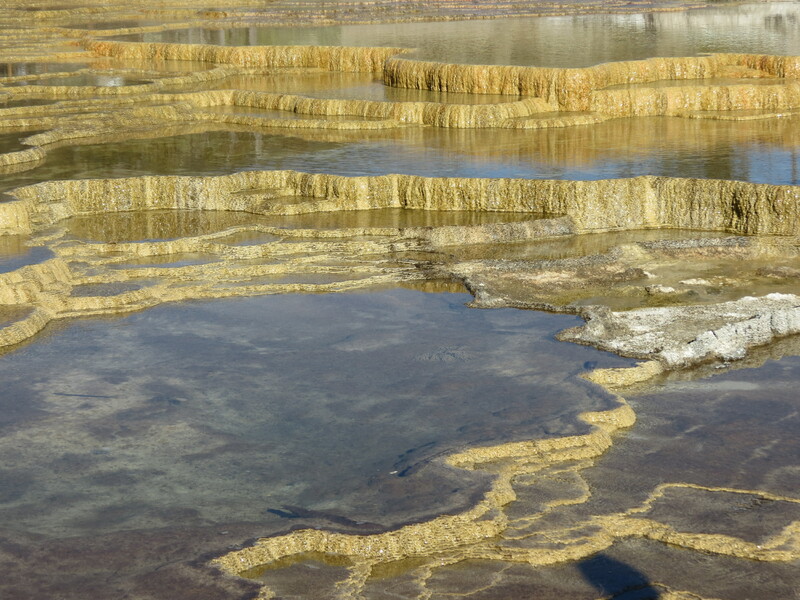 But there was so much more to that geyser and hot spring haven. 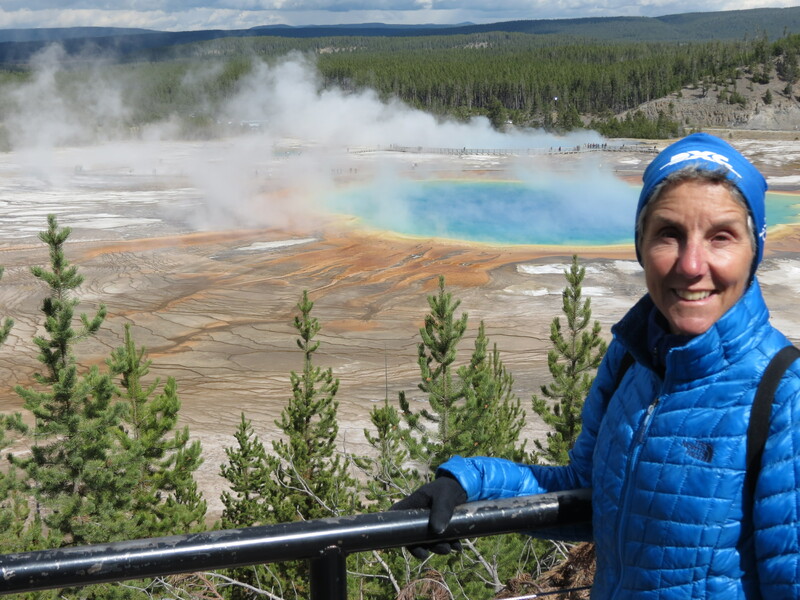 I walked the geyser trail, marveling at the huge variety in size, shape, frequency and reliability of eruption. 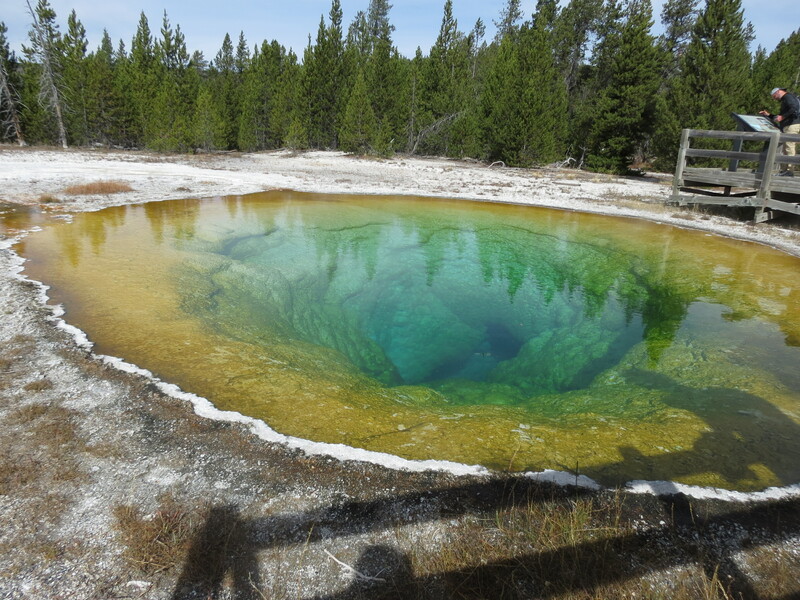 The hot springs were especially appealing, particularly the brilliant blue of Morning Glory. There was something magnetic about Grand Prismatic, especially when viewed from above at the overlook. 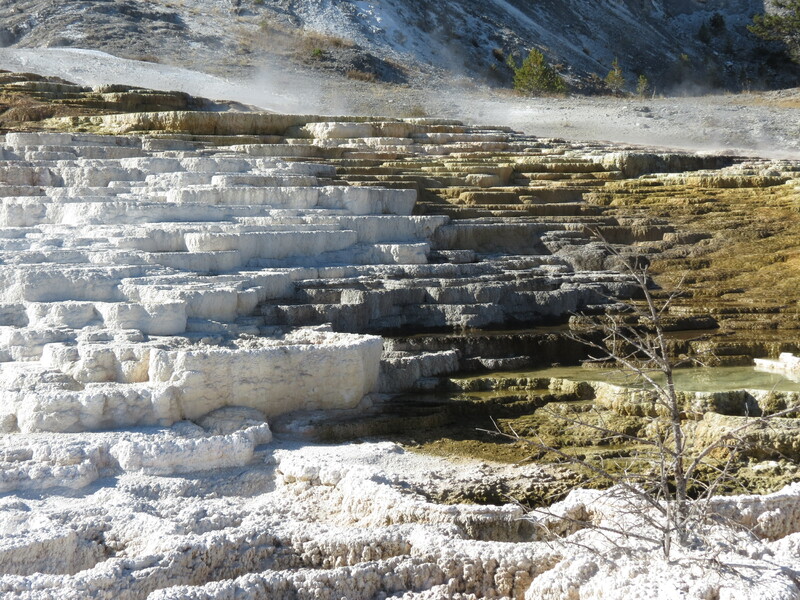 I wasn’t sure I needed to see Mammoth Hot Springs. When we first arrived, I couldn’t see what was so great about them. 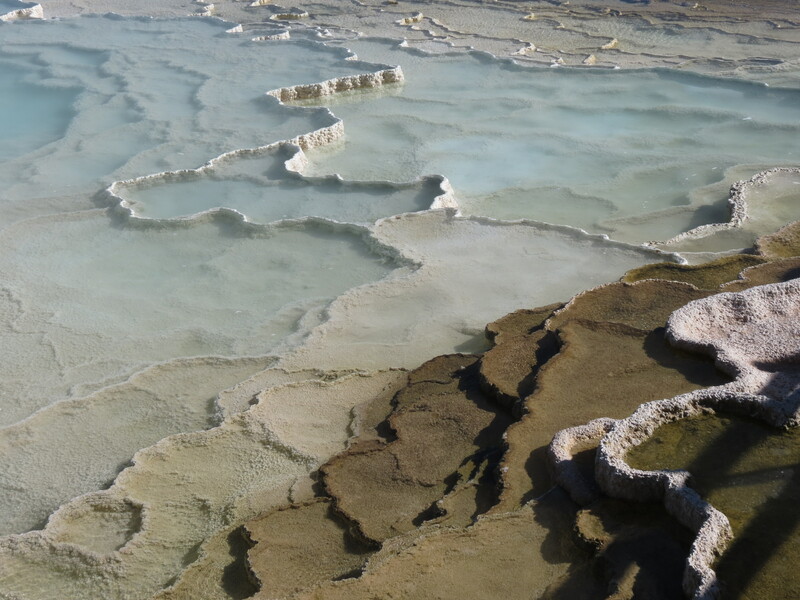 But after wandering among the terraces and land formations created by the hot springs, I had to admit I was impressed with nature’s artistry. 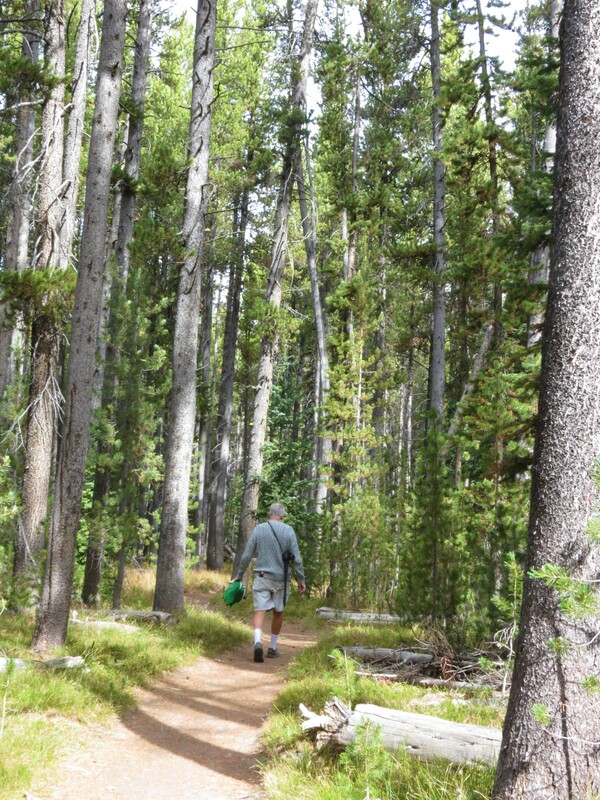 Even more than the famous sights, I was eager to get into the wilderness. I wanted to hike down a trail, escape the crowds and lose myself in placing one foot in front of the other in quiet solitude. 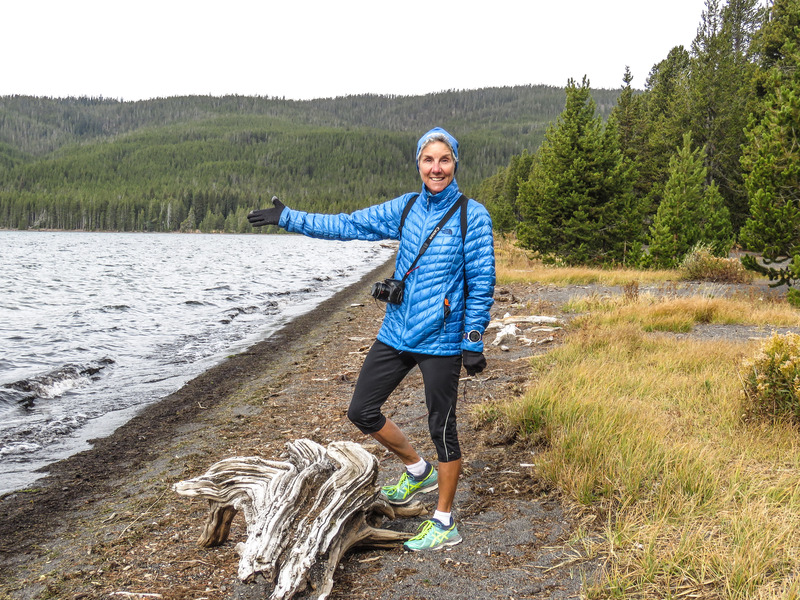 Following Erik and Katie’s advice – and their footsteps – we hiked to Shoshone Lake, the largest backcountry lake in the lower 48 states. 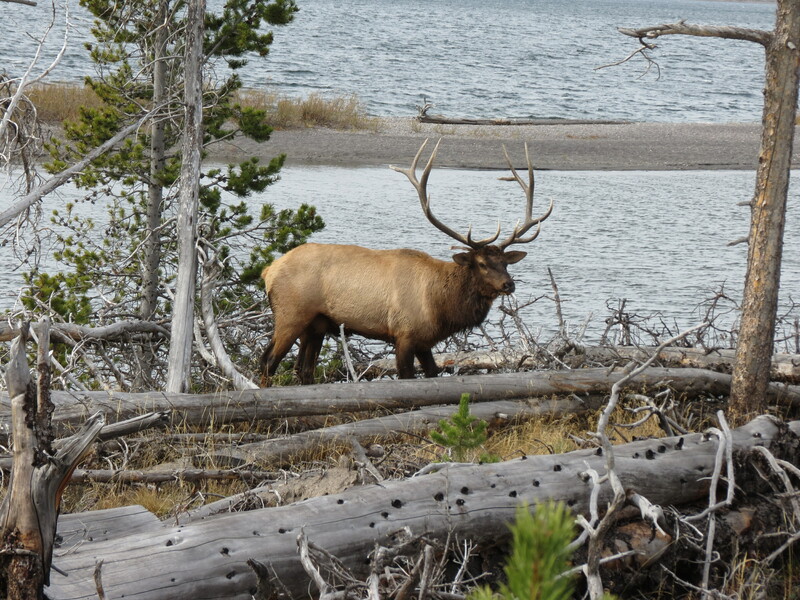 A visit to Yellowstone is synonymous with wildlife, and we saw our share of that as well. Bison and elk were ubiquitous throughout the park. I heard elk bugling in the woods for the first time. Then it became commonplace, as it was rut season. One evening, we were delayed getting to dinner due to a placid elk crossing our path. A “wildlife jam” alerted us to the presence of two grizzly bears tearing into something tasty on the roadside. We chose not to venture close enough to get a good picture of that scene. I have replaced my Old Faithful image of Yellowstone with a collage. My mind now holds a collection of sights and creations of nature, interspersed with immersion in the wilderness and wildlife views. 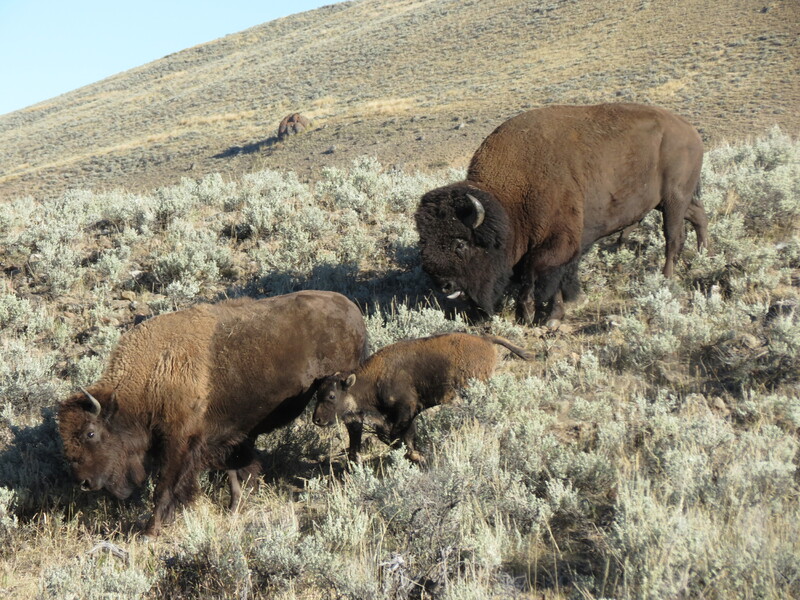 Just a few of Yellowstone’s many faces. Experience Yellowstone at Christmas when everything but Old Faithful is frozen over and access is by snowmobile. A truly magic time with the family.